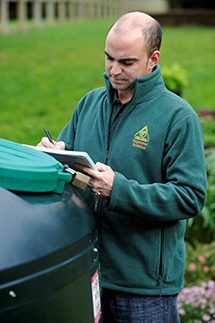 OFTEC has welcomed research which reveals that heating oil is no longer one of the top five most commonly stolen items in rural areas of the UK. The NFU Mutual Rural Crime Report 2016 shows that the overall cost of thefts from rural homes decreased to £6.2 million in 2015, down from £7.1 million the previous year, and whilst heating oil and diesel were the third most frequently targeted items in 2014, fuel does not feature in the 2015 top five. Despite small increases in cost since the beginning of the year, heating oil remains around 50% cheaper than when prices peaked in Spring 2013. Latest figures from the Sutherland Tables, a recognised independent source of comparative UK domestic heating prices, show oil is still by far the cheapest of all major home heating fuels. It is currently 31% cheaper to heat an average three-bedroom home in Great Britain with an oil condensing boiler than with mains gas, the second cheapest option; 52% less expensive than with an LPG condensing boiler and 56% cheaper than electric storage heaters. “Consumers are continuing to benefit from the sustained low price of oil and there’s good evidence to suggest this will remain the case for the rest of 2016 – and quite possibly beyond,” said Paul Rose.